This is the weblog of Dennis Bray, an IT trainer and consultant. Over the last 30+ years, I have been the IT manager for a medium size retail chain, a full-time Novell, Microsoft and UNIX trainer and for the last 17 years, I have been a Senior Architect for Enterprise Networking Solutions, Inc. in Sacramento, CA. 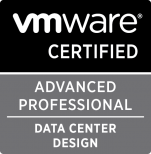 Since late 2006, I have had the pleasure of returning to the classroom part-time as a contract trainer for VMware. I have presented at VMworld 2015 & 2016, the California Emerging Technologies conference, VMware Government Innovation Summits, Ca. Technology Agency’s Information Security Awareness Fair, State of California’s, CIO Academy, The California Educational Technology Professionals Association annual conference, as well as the local Sacramento VMUG on several occasions.